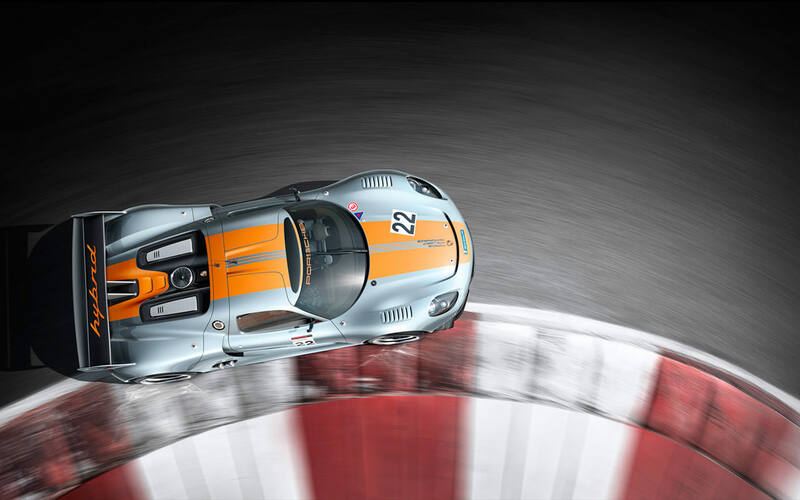 The Porsche 918 RSR is a mid engine two – seater coupe, which takes its design and look from the 918 Spyder. 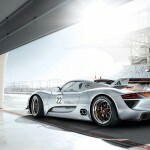 It features a fly wheel accumulator, which has been borrowed from the 911 GT3 R Hybrid, and offers a feature that stores energy when the car brakes, giving it a more explosive start when the gas pedal is pressed. 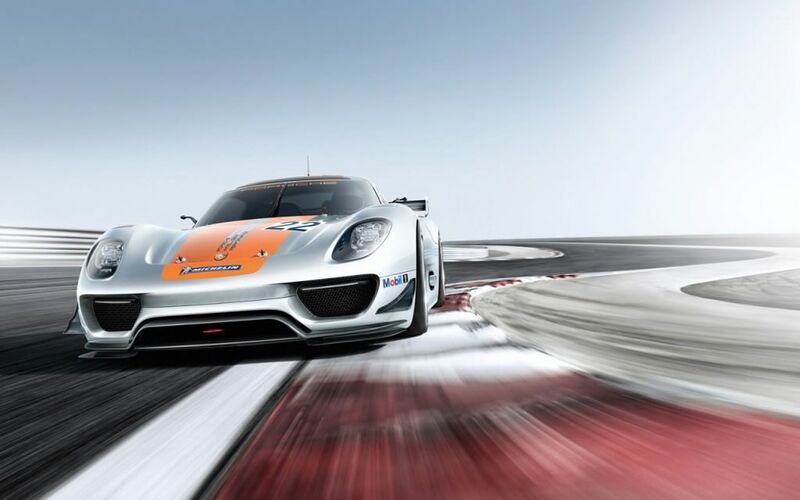 The Porsche 918 RSR is an “experimental racing laboartory car,” which was originally introduced in the 2011 Detroit Auto Show earlier this year. 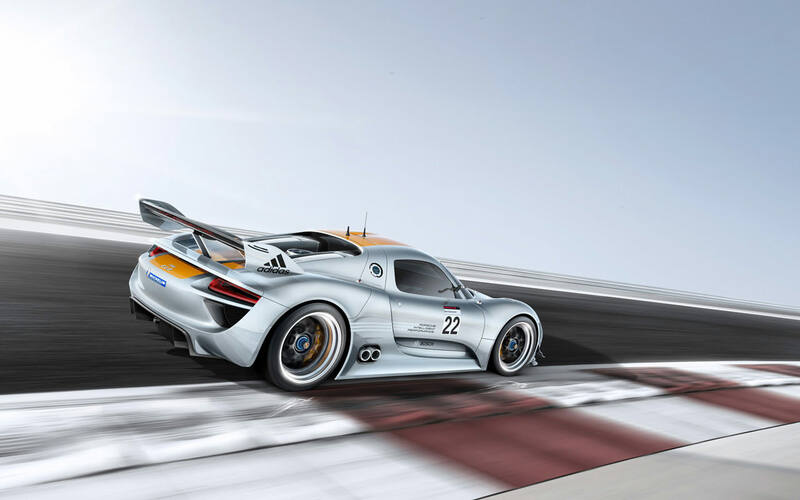 The Porsche 918 RSR offers great looks, which are mimiced from the 918 Spyder, and has the 911 GT3 R engine, which is based off a prototypical race car, in an effort to emulate the 1971 Posche 917 short – tail coupe. 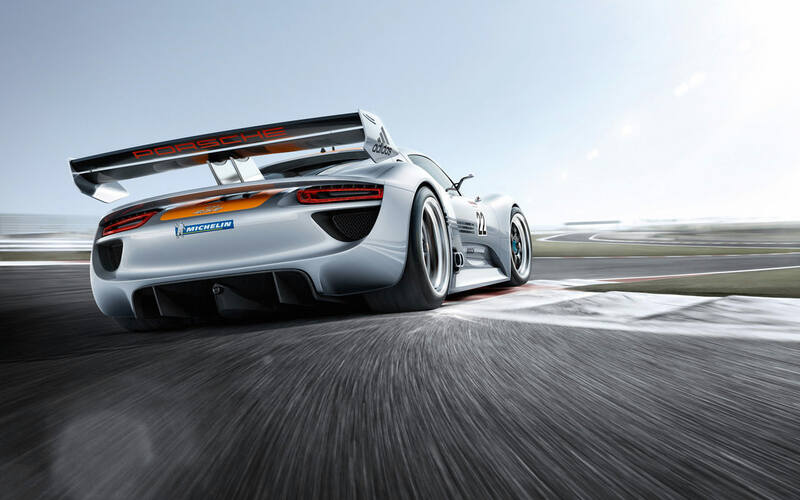 The Porsche 918 RSR is basically the racing version of the 918 Spyder, and has been fitted with flip up doors, carbon fiber body panels, and offers a roof mounted air intake. 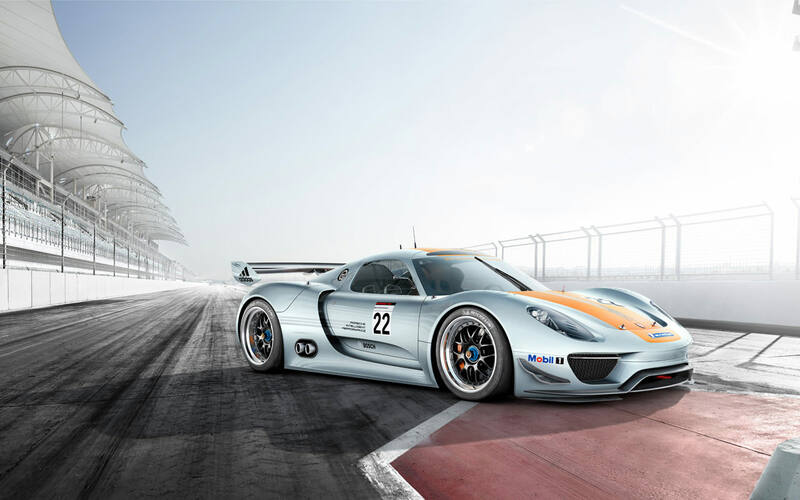 The Porsche 918 RSR has been painted in a liquid metal chrome blue color, and has stripes down the side of the body, and has the number 22 on the doors, which are in homage to Martini-liveried Porsche 917, which took over the 24 hour race in 1971, the Hours of Le Mans. 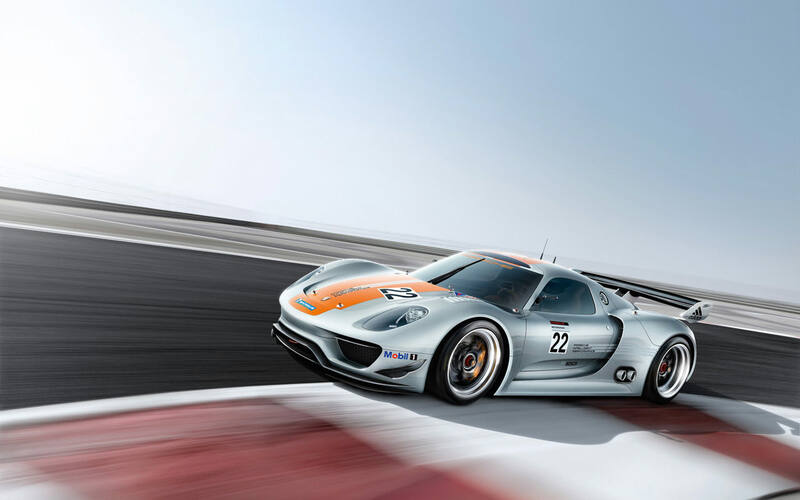 The Porsche 918 RSR also has a mid mounted V8 engine, that is direct injected, and gets 563 horse power rear wheel drive, and a six speed racing transmission. Additionally, it has shift paddles which are mounted behind the steering wheel. The electric motor is also attached to the front wheels, and are able to get short bursts of speed, which can attain up to 767 horse power bursts via the kinetic energy that gets stored up when the brake is pressed. The car also features bucket seats to mimic classic Porsche racing cars.